Depart from your choice of Auckland Heliport to one of the many stunning destinations on Waiheke Island and experience the spectacular Hauraki Gulf, Waiheke Island and stunning Auckland skyline from the air. Enjoy a bird’s eye view of Waiheke, Rangitoto, Browns & Motuihe Islands as you are whisked across the harbour between Auckland City and Waiheke. Why not book in for lunch at one of the exceptional vineyards Waiheke Island has to offer and arrive or depart in style aboard the helicopter as you land within the vineyard. 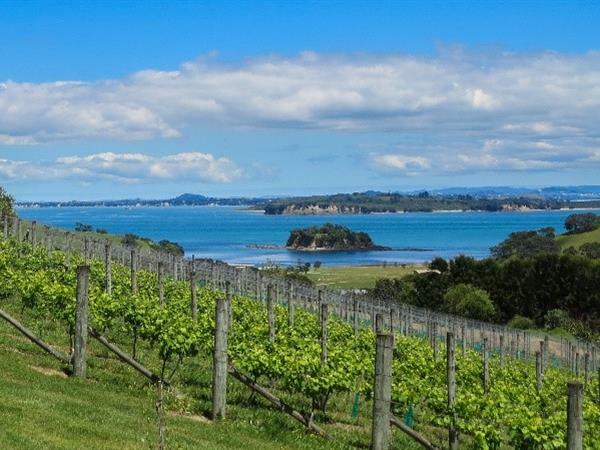 INFLITE have packages available with a large number of the top wineries on Waiheke Island. If you have specific requirements INFLITE will tailor a package to suit all travel itineraries. Take a visit to Waiheke Island to discover vineyards, restaurants, art galleries, beautiful walks and beaches and so much more. Waiheke Island is a perfect day trip from Auckland and INFLITE can take your there in style. Cable Bay Vineyard and Restaurant. Te Whau Vineyard and Restaurant. Other vineyard options are available on request. one of our partner vineyard restaurants of your choice. Mudbrick, Cable Bay, Stonyridge or Te Whau. to Auckland City via Fullers ferry (ferry tickets included). Wine tasting available on request. Add an extended Auckland scenic tour en route to your vineyard.